I received an email from Eton Global Institute inviting me for a day of baking breads. My heart skipped a beat as read the contents. I did a bit of research to know what the institution was and what I can expect. Eton is part of a global network of more than 1500 schools. It is internationally affiliated and accredited in the USA, Asia, and United Kingdom. The school uses Dunn & Dunn learning Styles to unleash the Multiple Intelligence of their students coupled with the best international curriculum from United Kingdom called International Preschool Curriculum ( IPC), International Primary School ( IPC) & International Middle School Curriculum ( IMYC). Eton is a school where learning is more continuous, more relevant, and more adaptive. We focus on using 21st century teaching and learning styles that build the 7 C’s needed to conquer the world. They are Critical Thinking & problem Solving, Creativity & Innovation, Collaboration, Teamwork & leadership, Cross-cultural understanding, Communication & Media Fluency, Computing & ICT Fluency, Career & Learning Self-Reliance. Our goal is to create a School without Borders that allows our student leaders to explore, think, overcome, and network with children in different parts of the world. We encourage them to celebrate their differences and to honor their uniqueness. We broaden students’ horizons by stimulating their minds, confronting their physical challenges, and developing their circle of core competencies at a very young age. We strive to help them open doors of learning, rather than creating learning barriers. Our classrooms are outfitted with the latest interactive technologies and each student has their own e-learning program that allows them to collaborate with students all over the world. Eton International School’s global mission is to make international education accessible to all.It is the first 3D K-12 School in the Philippines that has received numerous local and international awards in the field of English, Math, and Science. Their students conquered the world when they won multiple championships and medals especially in Robotics and Aeronautics from competitions in China, Korea, Indonesia and the Philippines. It focuses on nurturing the full potential of its students as it develops their multiple talents thru multi-cultural course ware and it prides itself in maintaining top quality education as it only accepts a maximum 15 students in a class. Thus, for the past years their students topped local and international examinations and their graduates get scholarships here and abroad like Harvard, Nafa and Bank Street. JUNIOR CULINARY CLUB: A fun-filled culinary program to gather little chefs to an interactive cooking class. We encourage their creativity in the making of nutritious food for healthy eating and living. Every Saturday morning, they are invited to discover a new cuisine, taste new food and learn how to make it in an entertaining way. LIFESTYLE COURSE: This program was designed for adults who are curious to discover several cuisine and recipes. We offer a new class every week, with an average of 5 recipes for each theme. Our goal is to teach our students the secrets of several kinds of cuisine, with hands-on practice and theory. Our goal is for our students to obtain life-lasting skills and help them become self-reliant. DIPLOMA COURSE: We offer 3 to 6 months professional programs in Culinary and Pastry Arts, Food & Beverage Operations, Bar Management and Hospitality Services. These programs were specially conceived by our best chefs in order to provide our students quality training and all the knowledge they will need to start their career and make their professional dreams come true. Special occasions: Individual classes, Private parties, Family celebrations, Professional parties, Events catering. The culinary institute is situated on the 5th floor, has all the equipment necessary to a commercial kitchen, in order to be able to make every type of food possible. Our institute has four (4) kitchens for its own, for culinary, bread & pastry, culinary, halal and a special kitchen for kids. All complete with world-class facilities and, kitchen equipment and all the adequate teaching material. We use the latest technologies for our students to learn in the best way with cameras transmitting the lessons live on our TVs from the top of the work plan. On the 4th floor, there is a gym, for the wellness of our students. On the 3rd floor, a daycare center, they can look after your kids while you’re in class with us. Jacqueline Marzan Tolentino is the President and founder of Eton International School. She loves to teach since childhood and soon opened her own k-12 international School in the heart of Manila. Now, she wants to serve her community by bringing closer world class education within reach by opening a lifelong learning and living community school, thus ETON Global Institute was born. This will be the perfect support system for students who finished k-12 who want to work in the Culinary & Hospitality Industry here and abroad. It aims to serve the whole family as it teaches basic competitive skills needed to conquer their dreams in the 21st century environment. As she aims for Holistic education, she wants to create a Center of Excellence in Health & Wellness for everyone to enjoy. She will now open her Sports Center in their family owned building as a tribute to her grandfather who was a Basketball Olympian in 1936. But she has her own journey of fitness; she started in high school when she played competitive sports in Basketball, Volleyball and Track & Field. Then, in her collegiate years, she played in UAAP and became part of the Philippine National Women’s Team. She is a mother of two loving children and a Bible ambassador. A foodie, educator, author, sports enthusiast and a miracle believer; She wrote the book IGNITE, a faith based Bible Journal being used in Bible studies nationwide. 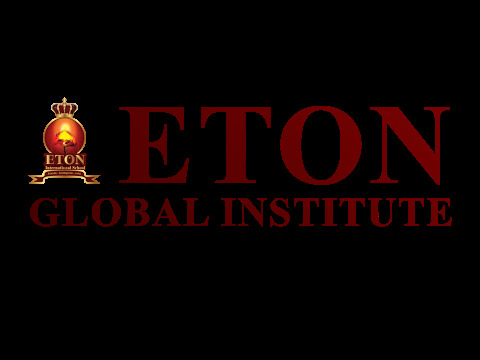 Follow them on Facebook for their latest updates - Eton Global Institute Facebook Page Visit them at their official website at https://etonglobalinstitute.com. They have Instagram too at Eton Global Institute IG Page. I will share with you how the experience was on a separate blog.